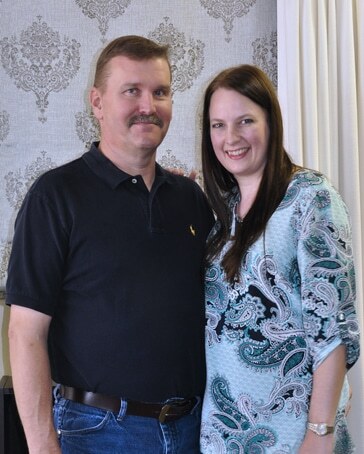 Being family owned and operated in the Dallas area allows us to provide exceptional quality custom draperies, roman shades, valances, cornices, swags, custom bedding and pillows, headboards and many other custom window treatments. Since all our drapery and bedding fabrication is done in-house, you can rest assured that all aspects of construction are closely monitored. For products that are ordered, we keep in close contact with our vendors to ensure timely and accurate delivery. We offer a large selection of special order fabrics and trims, as well as an extensive selection of drapery hardware, from plain rod pocket curtain rods, traverse rods, motorized rods, and numerous lines of custom hardware. We specialize in medallion mounts as well. We will also work with fabrics and trims that you already have purchased at no extra fee. Enjoy outdoor living? We custom make decorative and functional outdoor draperies, as well as coordinating patio cushions and pillows that will transform your outdoor living area, into an outdoor oasis. To compliment designs and for a clean look, we provide a full line of Wood and Faux Blinds, Plantation Shutters, Honeycomb Shades, Duets, Roller Shades, Solar Shades, Woven Wood Shades and Reeded Shades. Every beautiful project begins with an idea. We bring those ideas to life. We use our expertise to design the most beautiful and suitable treatments for your home or office. From coordinating fabrics, trim & hardware, to flawless installation, we take the worry out of covering your windows and adding soft touches to your home. For your consultation, we will conduct a thorough measure of your windows, discuss issues like privacy, light control and aesthetics. We will discuss design options and select fabric and hardware. We will present you with our proposal and make any adjustments necessary. We make the process easy! Call or email with your project and let’s get started!